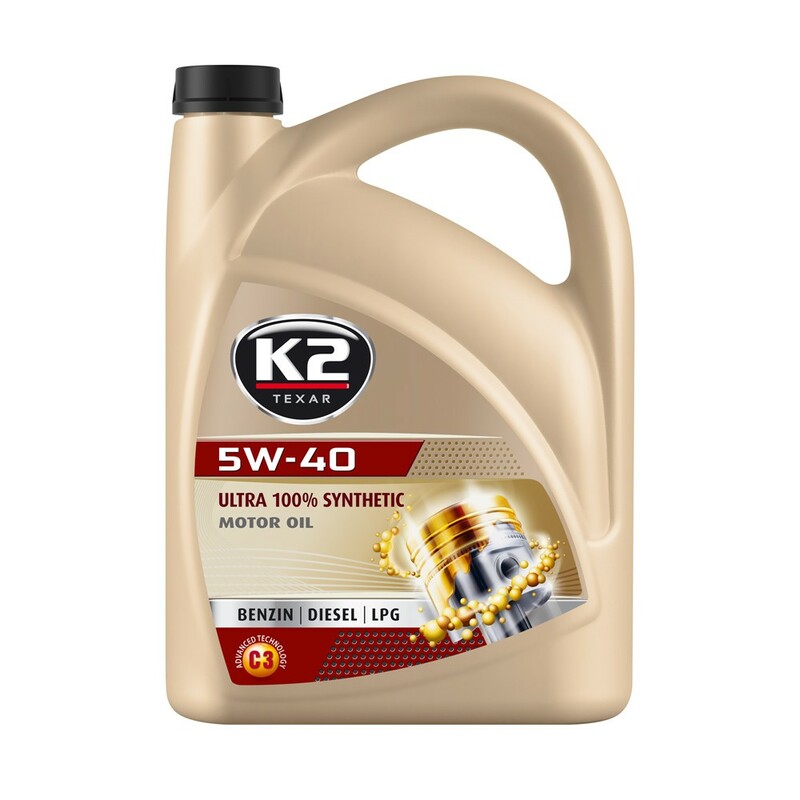 K2 TEXAR 5W-40 ULTRA C3 - BENZIN, DIESEL, LPG, synthetic engine oil developed and manufactured using the latest NANOTECH technology. Contains the highest quality compositions PAO (Poly-Alpha-Olefins). Recommended for the latest automobiles provided with solidparticle filters and three-way catalysts. Enables extension of the inter oil change periods (Long Life-type oil). Enables to reduce the fuel consumption up to 2,5% and reaches critical lubrication points faster than semisynthetic or mineral oils. Guarantees a trouble-free engine start at very low temperatures (even -35°C). Keeps the engine clean. Recommended for gasoline and Diesel engines, cars and delivery vans with or without turbo-compressor, independently of engine wear degree. Meets the requirements of ACEA A3/B3/B4, C3, API SM/CF, VW 505.01.